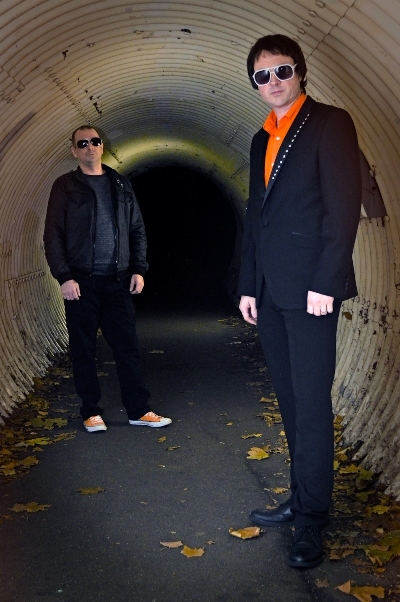 English synthpop duo SPACEBUOY met over 20 years ago through their common interest in music. Singer Howard Moth really knows how to put his effort into the songs with his very sensitive and unique voice. Meanwhile, his companion Jez Allen Smith is the cool captain behind the computer and synthesizers. With a support slot with ERASURE on their CV, tracks from their two EP releases so far ‘Fashionista’ and ‘Breathe’ have been played on different radio stations all over the UK including Harborough and Phoenix FM. Prestigious live appearances at Bas II and both iSynth Festivals in France continued their upward momentum. They are just about to release their first full length album called ‘Intoxicated’ having just been signed to Juggernaut Music Group, also home to MACHINISTA. TEC’s Swedish Correspondent Sophie Nilsson caught up with Howard (aka H) and Jez to speak a bit about their new album, music and life in general. How would you very shortly describe the sound of SPACEBUOY? 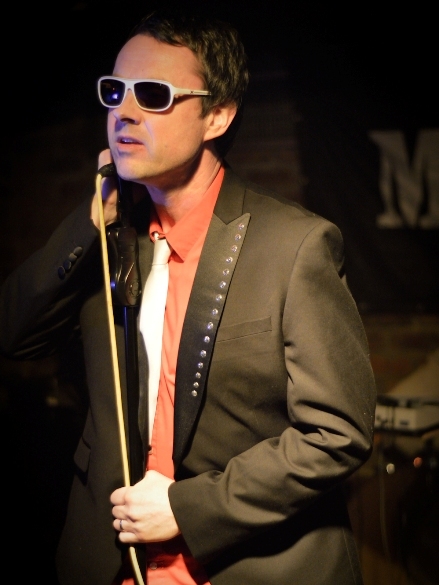 Jez: We’re alternative future retro synth pop with a twist. You’ve got a new album coming out now called ‘Intoxicated’. Has it been an easy journey? H: There’s been plenty of emotion and dilemma as with any worthwhile journey, but it feels good to have captured that and I have far too much to say for myself as usual. Tell me about the process of making it? Jez: The process we’ve always used is to bounce ideas off each other through email or mobile phone and progress from there. Basslines, melodies, guitar chords, lyrics, humming a tune or whatever it is, there is no real order to it. H: It’s random and chaotic I guess but it works for us and anything goes if it peels our banana. Songwriting isn’t anything we find overly difficult as yet, we work together well in our own inimitable way. We knew we wanted to produce new sounds and vibes this time around and we’ve worked hard to achieve that. Our studio methods may well be unorthodox but we do everything ourselves in our own way and that’s how we like it to be. 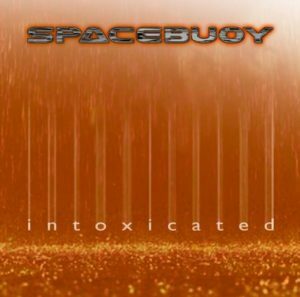 What is SPACEBUOY’s songwriting dynamic? H: We’ve never written a song from scratch together in the same room at the same time which results in multiple demo ideas kicking around until they’re complete. Jez takes care of all programming and synths and making sense of any of my badly played synth ideas. I’ll do a guide vocal track and once we’re happy with the direction of the track, I re-do the vocals, harmonies and song arrangements and Jez then pulls everything together again technically. Then comes mastering and production which we actually decided to do together this time, but that was only an excuse to drink beer and eat cake. What differences are there between this new album and your previous EP releases? Jez: We’ve learnt a lot since those initial releases, moving into another zone from the perspective of what we want and how to produce it. The new album has a different feel to it although I think you could see that happening with the ‘Breathe’ EP compared to ‘Fashionista’. There’s more a personal feel to this album as well as a gritty solid early synthpop edge to some of the songs from our life’s rich pageant. Your lyrics have a nice, delicate twist. Are they very personal for you or do you like telling people what they are about? H: They are personal yes, they’re me. But as for explaining them, I prefer the idea of making your own interpretation. Not everything is black and white and needs to be explained as such, it’s good to have an opinion through thought. Give me intrigue and mystery, irony and meaning, however that translates for you because ultimately we all take from it what we want. H: Everyone and anything that’s had an influence in some way, Stella Artois seems to make an appearance quite often in that process. Jez: We’re open minded and go both ways. Either one can inspire the other and frequently does. Both of you have different musical backgrounds; does that make it harder to decide for the sound of your songs? H: In many ways it’s easier. You need unique style and maybe fusing together our diverse influences helps. There are things we’ve done that I’d have never dreamt of doing and vice versa. You’ll always hear influences but love us or not I don’t believe we sound like anyone else and I’d be bored to tears if we did. H: THE SMITHS, MORRISSEY, SUEDE, VINCE CLARKE, JOHN LYDON, DEPECHE MODE, NEW ORDER, BLONDIE, THE CLASH… I could go on and on. Jez: ERASURE and YAZOO, DEPECHE MODE with and without Vince, HOWARD JONES, THE HUMAN LEAGUE, VANGELIS, PET SHOP BOYS, DAVE BALL and a ton of dance music from BIZARRE INC to CHICANE to THE TIDY BOYS and beyond… there are so many musical influences I couldn’t possibly name them all. Is there any new electronic music that you like? Jez: I’m loving CHVRCHES at the moment. H: I’m very hard to please I’m afraid, although I’ve been getting into PAGE over the last year or so … yes I know it takes me a while to catch on from 1983. What synths and other electronic equipment do you use? Jez: At the moment it’s really a case of the cheapest we can get that will do the job, and we buy things as we can afford them. Current gear list is Novation X Station, MicroKorgXL, Akai Miniak, Novation Mininova, Arturia Microbrute, DSI Mopho keys, Korg Monotron delay, PC running Ableton Live, Novation Vstation, Novation Nio audio interface, Lennar Digital Sylenth1, REfx Claw and Rob Papen Blue. Are there any favourite ones? Jez: At the moment it’s the Mopho, it’s got a really good sound to it. Do you prefer analogue or digital sounds? Jez: There are some great analogue synths and some great digital synths, but we prefer analogue although we’re a mixture of virtual analogue, soft synths and analogue at the moment. We’re going more analogue for sure as we’ve done with ‘Intoxicated’ and that’s simply because we prefer the sounds, they’re more tactile and fun to use. Have you ever used conventional instruments? H: Live we haven’t, but in the studio we’ve used some guitar on tracks like ‘Deliverance’ and ‘13’ from the album as well as a few others on previous releases. What’s the best thing about being in SPACEBUOY? H: Without doubt the fun we have playing live. It’s the thing we enjoy the most. You’ve said before that SPACEBUOY are an unfashionable combination, why is that and what makes it work? H: I don’t think we’re in any way hip or trendy, like the whole orange thing with white sunglasses and long hair, shouldn’t work but it does. Our songwriting ideas are almost always totally different to each others, I don’t know how that works either but it does too so long may it continue. And in case people are wondering, what is it about the orange thing? H: It’s the new black haven’t you heard? It’s very much out there and the happiest most positive colour there is … and yes I have a thing about it too! What were your reactions when ERASURE contacted you and wanted SPACEBUOY to support them on their last tour? H: It was very early in the life of SPACEBUOY, we’d played two or three low key gigs at that point so reactions went from total bliss to mild hysteria at the realisation that we’d been asked to support. It was obviously a big deal at the time we but embraced the whole thing totally and enjoyed every second of it. What was it like playing before them? H: A huge amount of fun! We were made to feel extremely welcome and looked after equally as well by ERASURE themselves and everyone in their crew, we’ll never forget that that. To be asked us to play was very humbling to say the least. Jez: The audience took to us from the first notes we played so it was it was pretty cool to receive that. We had a fabulous time and met some really lovely and genuine people. You’re live performances differ from most acts, is that something conscious? H: Some say we’re quirky! I don’t know, but what you see in our performance is who we are and what comes out on stage isn’t pre-rehearsed it just happens that way. I used to find it terrifying getting on stage, hence the persona but I just absolutely enjoy it. What is your favourite thing to see in the audience from the stage? H: People enjoying themselves and having a good time, singing along. I really like audience interaction and the fun of having some chit-chat. Jez: There’s been a few weird things happen but nothing too major to distract me enough to force an error just yet. Any strange studio quirks we should know about or pre performance rituals? H: I’m addicted Bilar sweets, the sugar coated variety, so I have to eat those during a studio session. I always record vocals barefoot and I have no idea why that came about. Pre-performance, I like a few minutes to myself. H: Jez likes to freshen things up sometimes and deliver a different spin on a track if he’s got some new sounds to play with. People really notice too although it catches me out sometimes if I forget we’re doing it. What are the future plans for SPACEBUOY? Jez: We’re delighted to have just signed to the Juggernaut Music Group and ’Intoxicated ’will be the first release. It’s a positive move in the right direction for us and we’re excited for what the future holds working with Juggernaut. Will there be any remixes of your new songs done for you by any other artists? Jez: We’re discussing ideas to collaborate with MACHINISTA so we’re really looking forward to hopefully working with those guys in the very near future. Your artwork is striking and again something different in many ways, who is responsible for that? H: Our artwork represents our songs and the concept of whatever release it is, it’s an important part of the package. We work closely on all our visuals artwork with Lee Jenkins of Lee Photography who is also our photographer. Tell us something about you that nobody knows? Jez: I don’t like rice pudding. H: We had a gig in Bristol where the dressing room was shut for refurbishment. As I was getting changed outside in a side street next to the car and just as I was down to nothing but my orange boxer shorts, the police decide come around the corner. They saw the funny side of it at least. 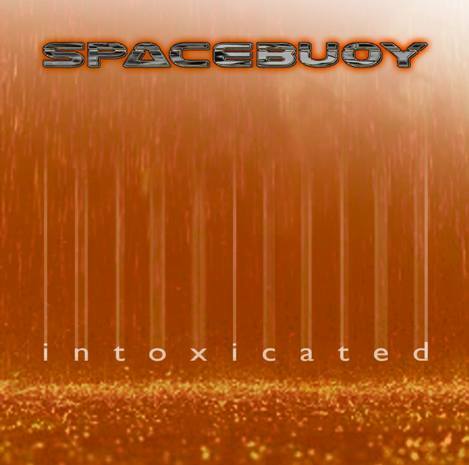 ’Intoxicated’ is released by Juggernaut Music Group on 27th June 2014 as a CD and download.